Home » NASA , Space Exploration , Space Power » What Is Radioisotope Power System? Power is the one thing a spacecraft can't work without. Without the technology to reliably power, no long term space missions would be possible, thus our knowledge of the solar system would be only a fraction of what it is today. It might sound surprising, but there are currently only two practical options for providing a long-term source of electrical power for exploring space: the light of the sun or heat from a nuclear source such as a radioisotope. Solar power is an excellent way to generate electricity for most Earth-orbiting spacecraft and for certain missions to the moon and places beyond that offer sufficient sunlight and natural heat. However, many potential Space missions given a high priority by the scientific community would visit some of the harshest, darkest, and coldest locations in the solar system and these missions could be impossible or extremely limited without the use of nuclear power. 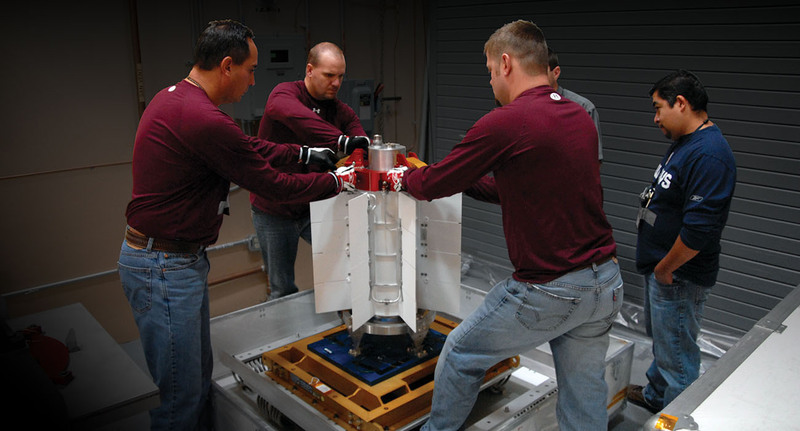 Radioisotope power systems (RPS) are a type of nuclear energy technology that uses heat to produce electric power for operating spacecraft systems and science instruments. That heat is produced by the natural radioactive decay of plutonium-238. Radioisotope power systems (RPS) offer several important benefits. They are compact, rugged and provide reliable power in harsh environments where solar arrays are not practical. For example, Saturn is about ten times farther from the sun than Earth, and the available sunlight there is only one hundredth, or 1%, of what we receive at Earth. At Pluto, the available sunlight is only six hundredths of a percent of the amount available at Earth. The ability to utilize radioisotope power is important for missions to these and other incredibly distant destinations, as the size of solar arrays required at such distances is impractically large with current technology. Radioisotope power systems (RPS) offer the key advantage of operating continuously over long-duration space missions, largely independent of changes in sunlight, temperature, charged particle radiation, or surface conditions like thick clouds or dust. As part of an ongoing partnership between NASA and the Department of Energy (DOE), NASA is conducting a mission-driven RPS program—a technology development effort that is strategically investing in nuclear power technologies that would maintain NASA's current space science capabilities and enable future space exploration missions.